Personalized Wedding Card House Card Box - Ready to Ship! 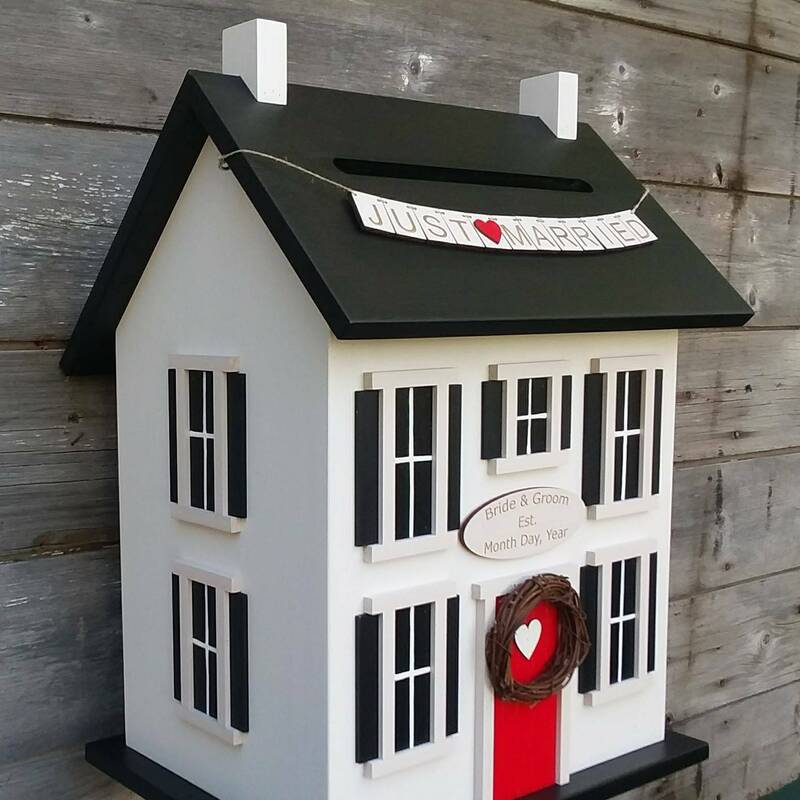 The Wedding Card Holder is 13" w x 17" h x 11" inches deep and will hold 100+ cards. Please include Names and Wedding date in order notes to complete your order. See below for the colors in pictures above.